"Electrical and electronic engineering is a field that is not only challenging but also really tests a person’s analytical and problem solving skills; this was the main reason why I chose this degree and of course I have always had an interest in this field. 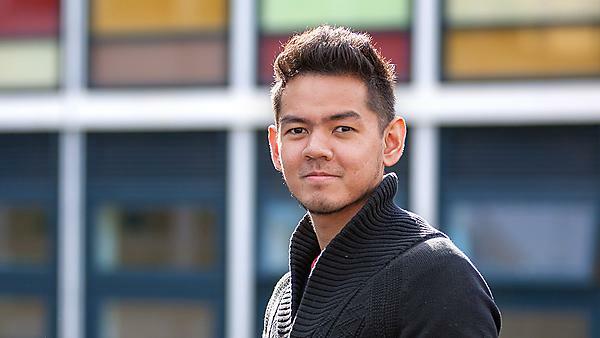 When I first heard about Plymouth University, I did not know whether this was the right place for me to further my studies however after hours of researching, I had no more doubts. Plymouth is ranked one of the top universities in the UK for engineering and other courses as well and after coming here I knew I made the right choice. The facilities offered by the University are very good; from the library to the laboratories, everything was very pleasing and all of the lecturers are very helpful as well. Life in Plymouth is very peaceful, its beautiful landscape and views are just wonderful. Unlike bigger cities, Plymouth is a bit more slow-paced but still a whole lot of fun with lots of attractions in and around the city. Restaurants, pubs and clubs are all walking distance away. Adapting culturally was never a problem because of the friendly locals. Everyone was really warm and welcoming right from day one and this helped me settle down a lot quicker. Although coming to the UK to study has been expensive for me and my family, I think it is worth the cost because not only will I get a degree at the end but also an amazing experience that I’ll always remember. I would definitely recommend coming to Plymouth if you’re looking for a good education and a wonderful experience."